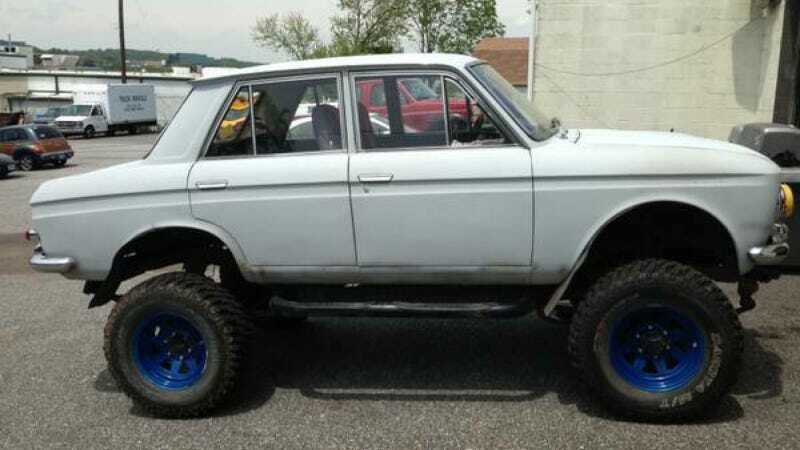 Truck lovers have been called conservative, but that hasn't stopped some from building insane off-roaders out of just about anything. The pickup conversions you showed us were amazing, now let's see what kind of automotive bastardizations you've seen wheeling. The maniac responsible for this perverted franken-Datsun is now offering it on Craigslist for some "other 4wd SUV my wife could drive." Here's to hoping your findings had a more badass fate. Hat tip to Fred Grefe!